Last edited by hubturn; 06-08-2014 at 09:58 PM. Thank you so much for this information, I was totally looking in the wrong places. I do agree that the wiring harness is a big problem with these cars and I intend to replace it with a new harness that I will fabricate myself. I do know that after hours of online research that cold solder joints on these modules are also a big problem. I have found many instances where people are fixing their issues by simply adding a little flux and a soldering iron to the problem. Not having access to a VAG.COM connector and armed with a multimeter, a soldering iron and a schematic I will push forward. Thanks again for the information, I am indebted to you. Most split the loom and find the faulty wire - obviously broken or sometime broken without breaking the insulation. 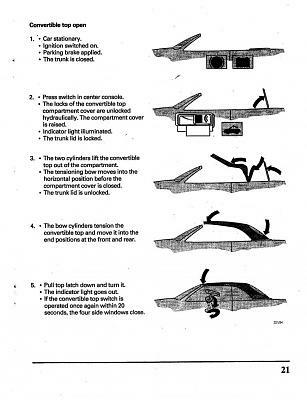 If you believe the microswitch on the trunk (boot for you Cardiff types) is faulty, don't be too sure. 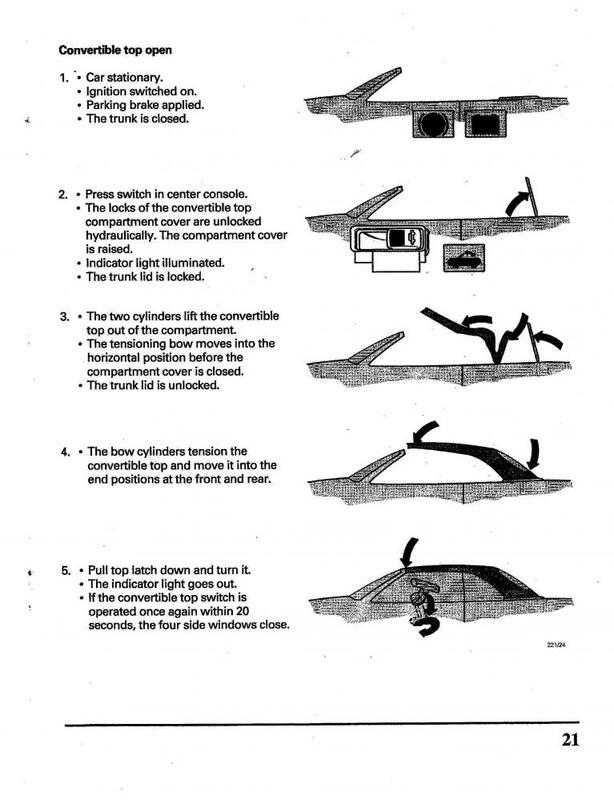 The Trunk Lid Locking motor gets a signal to lock, and apparently also sends a signal back that it locked. 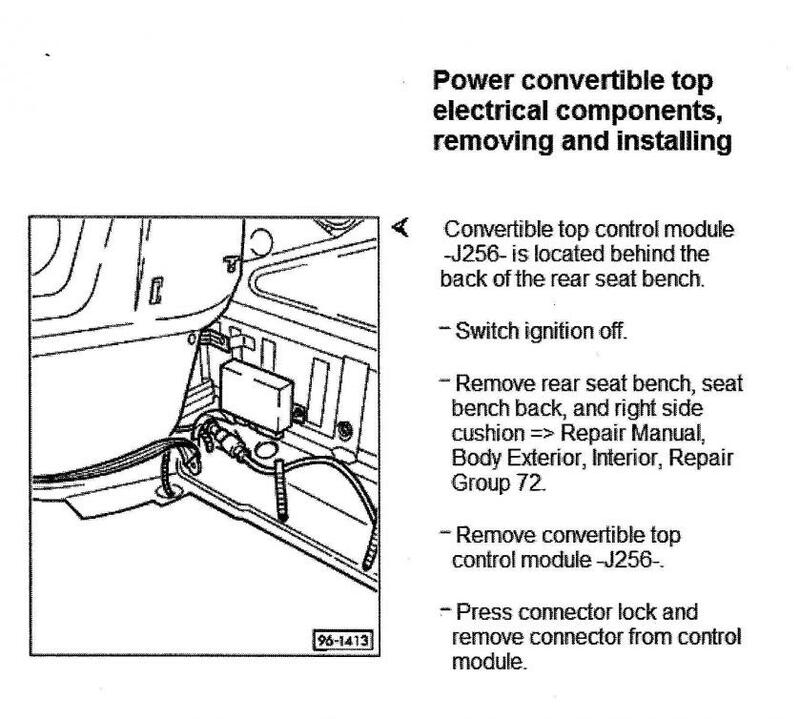 This appears to be independent of the Trunk Lid Closed Position Switch (the microswitch). 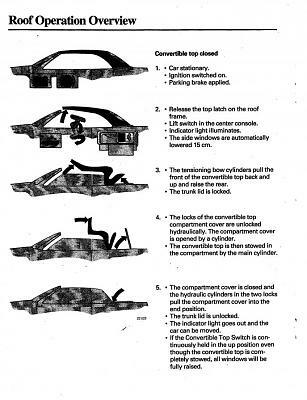 The problem can be in the interconnection of the central locking system to the convertible top system. That's why the locking system and the window system both have to be functioning or the sequence can stop for what looks like no valid reason. This is also why some people can key lock the trunk and then the system will work. The wire signalling the trunk lock to 'lock' is broken but the wire signalling that the trunk has 'locked' is fine. Where is the location of the flasher unit relay? Location of Coolant Temp. Sending Unit V6? Convertible top control module location?